Inscriptions: Signed in pencil by the artist to the lower right of the plate line, and numbered in the lower right corner of the paper. "A Bull sits on the Barrier." Loss and Restitution: The Story of the Grunwald Family Collection. 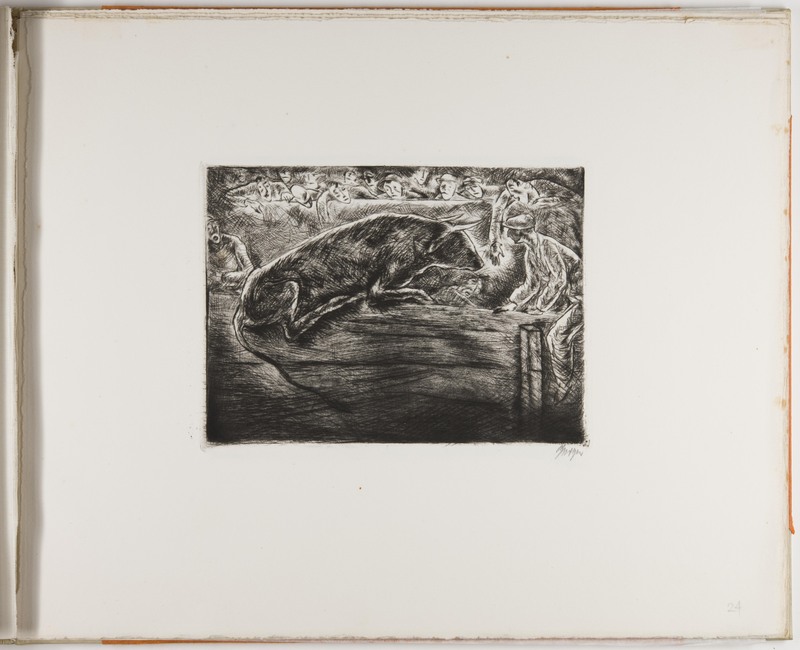 Los Angeles: Hammer Museum, 2017. https://​hammer.ucla.edu/​collections/​grunwald-center-collection/​loss-and-restitution-the-story-of-the-grunwald-family-collection/​art/​art/​a-bull-sits-on-the-barrier/​.